Arts Adventures Camp - "Jungle Book"
In the Arts Adventures Music Camps, students participate in a variety of activities designed to teach drama, art, music and dance which culminate with a production on Friday. 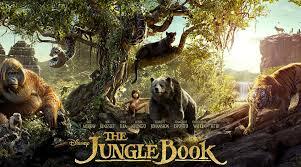 The camp's activities and show are based on the "Jungle Book" movie and campers will sing songs, design and paint backdrops, act and learn dance choreography all for the Friday show for family and friends. Be sure to enroll for the camp with the dates you will be attending. We will be in contact if we have questions. Campers need to bring a lunch and two snacks Monday through Thursday. A pizza lunch is provided on Friday. Campers will stay on site at Mason's for the entire camp. Click here for video clips of a song or dance from one of our end of the week shows.